Wireless charging is easily one of the most important technologies of the future and making it possible for smartphones is completely necessary. There have been very few ways to wirelessly charge the iPhone 5 however and Duracell is finally making it a possibility with the Powersnap Kit. 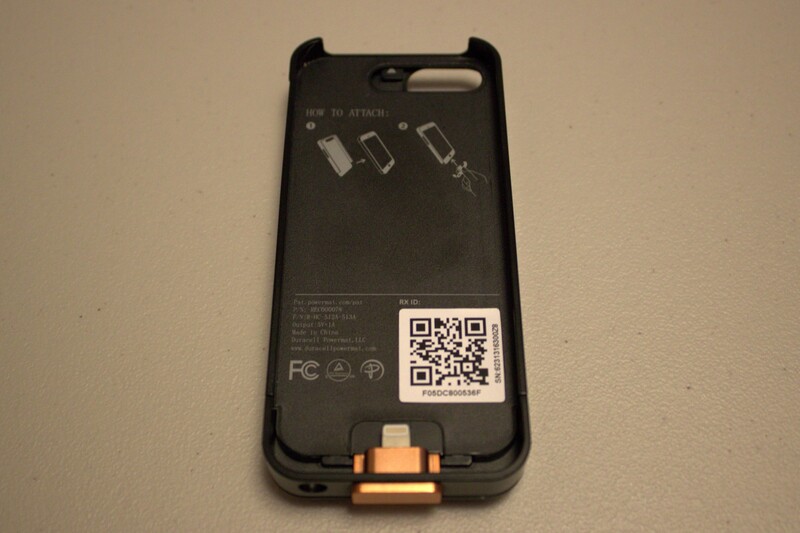 The Powersnap Kit builds upon the 24-Hour Power System from Duracell which was for the iPhone 4 and switches up the charger design to fit with the new lightning connector. There are two separate pieces to the Powersnap Kit, one is the AccessCase which enables wireless charging and the other is the SnapBattery which actually charges the phone. Even though Duracell did a good job making the AcessCase lightweight, it does feel very flimsy on the phone and would have a hard time protecting it from any sort of fall. Most of the time the Kit would be paired with the Duracell Powermat which does cost an additional $34.99 but you can choose to use the SnapBattery alone for charging if you need to. We were able to receive an additional three hours of high usage including consistent internet browsing and gaming. With a more moderate amount of usage we received four additional hours of use. While this might not be an extra day of usage, having even three additional hours of use allows me to get through an entire day of heavy phone use without running out of battery. Without a doubt, the performance benefit of using the PowerSnap Kit is undeniable but the flimsy feeling of the AccessCase does make me worry about its durability. A lot of the time I found myself forgetting to even put on the PowerBattery since I rarely needed it to get through my entire day no matter what I was doing. In the end, iPhone 5 users that are in need of a constant source of power for their phone due to a high amount of use will certainly see the benefit of having the PowerSnap Kit but it is not necessary for the average user.